Is Stan Druckenmiller Bullish on China? 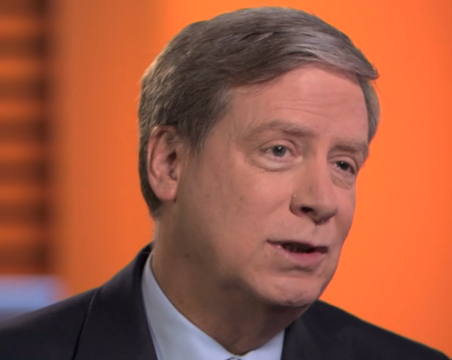 In an interview with Bloomberg TV, billionaire investor Stan Druckenmiller said he was bullish on China and did not expect the Federal Reserve Bank to raise interest rates in 2015. Chinese stocks have soared with the Shanghai Composite Index doubling in the last 12 months. “Whenever I see a stock market explode, six to 12 months later you are in a full blown recovery,” he said. After all, if retail investors, who are propelling 90% of the market turnover, are feeling richer from their stock investments, they may want to spend more and jump start the economy again. You can watch the entire 40-minute interview on the Bloomberg website (click here to view it). The unemployment rate has only just reached the 5.5% level reached at the start of the 1998 and 2004 hiking cycles, and it is still comfortably between its 4.3% and 6.6% levels that marked the starts of the respective hiking cycles in 1999 (a surprisingly low-inflation period) and 1994 (a stubbornly high-inflation period). This comparison fails to account for differences in the magnitude of long-term unemployment, which is considerably higher today than in past cycles. If Druckenmiller is right, is it possible that emerging markets will have a broad-based rally and outperform the S&P 500 for a change? According to Goldman Sachs, which looked at historical stock performances, for emerging markets to broadly outperform, we need two conditions: a China bull and a dovish Fed. See my April 8 blog “Can A China Rally Lift Other Emerging Markets?“. Year-to-date, the iShares MSCI Emerging Markets ETF (EEM) returned 10.6%, the Vanguard FTSE Emerging Markets ETF (VWO) rose 11.2%, versus the SPDR S&P 500 ETF Trust‘s (SPY) 2.8% gain. The iShares China Large-Cap ETF (FXI) jumped 25.5%, the Deutsche X-Trackers Harvest CSI 300 China A-Shares ETF (ASHR) rose 25.8%. Stan Druckenmiller is betting on the unexpected. The billionaire investor, who has one of the best long-term track records in money management, is anticipating three market surprises: an improving economy in China and rising oil prices. He also doesn’t expect the Federal Reserve to raise interest rates in 2015, a move most investors are forecasting will happen in September after six years of keeping them near zero. Druckenmiller, who now runs a family office after closing his Duquesne Capital Management hedge fund in 2010, has repeatedly criticized the Federal Reserve for keeping interest rates near zero for too long. He told an audience at the Lost Tree Club in North Palm Beach, Florida, on Jan. 18 that monetary policy has been reckless. “Every month that goes by we have more and more financial engineering,” he said. Druckenmiller, who’s worth $4.4 billion, according to the Bloomberg Billionaires Index, is bullish on China, even as the country’s leaders are targeting a 7 percent growth rate this year, the lowest since 1990. A recovery in China, the world’s second-biggest economy, would influence securities and commodities prices around the globe, said Druckenmiller. For instance, it would send German government bond prices lower, boost European exporters and lift the price of oil, he said in a separate interview. Druckenmiller anticipates oil prices -- which plunged about 50 percent since June -- will rise by next year after companies slowed production and exploration. Duquesne Family Office sold its retail and airline stocks, which benefit from lower oil prices, and has bought equities that benefit as energy prices climb, such as LyondellBasell Industries NV. The world’s biggest maker of polypropylene plastic rose as much as 3.1 percent today to $96.18, the highest price since October. He’s also buying crude futures. In more conventional bets, Druckenmiller said that U.S. and Japanese stocks will continue to climb. He’s also wagering that the U.S. dollar will continue to strengthen against the euro, saying the European currency could eventually trade at 80 cents compared with about $1.06 today. Greece will “probably” exit the euro zone, Druckenmiller said. There won’t be contagion though, given that banks don’t own Greek debt anymore and Mario Draghi, the European Central Bank President, has quantitative easing at his disposal. I agree with Druckenmiller, Greece is overanalyzed which is why I stopped covering it after my last comment on the big fat Greek squeeze. The country is now entering the twilight zone, no thanks to the left-wing lunatics who are running it to the ground and barely scraping by to pay off their creditors (but Greeks voted these clowns in and sadly, they deserve their fate!). 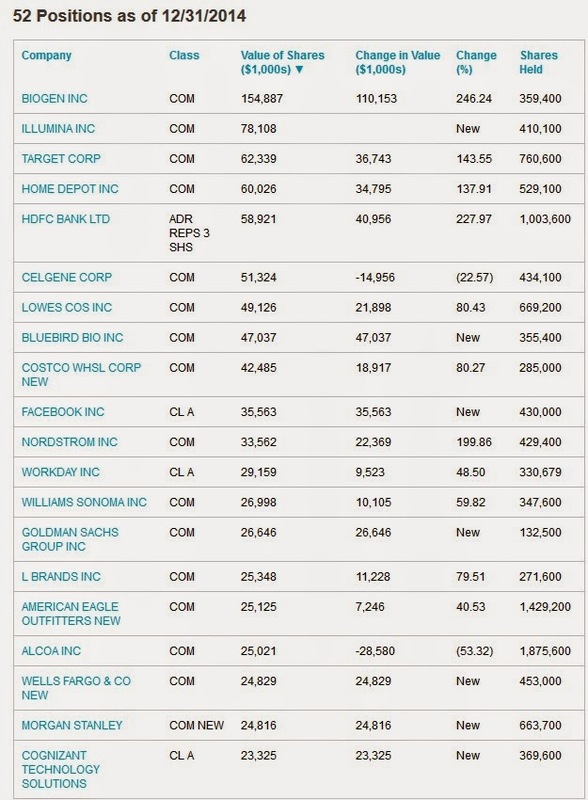 As you can see, among his top positions in Q4 were biotechs like Biogen (BIIB) and Celgene (CELG), but also Facebook (FB), Home Depot (HD) and Goldman Sachs (GS), all of which have performed very well since 2009. For a big China and emerging markets bull, I'd say Mr. Druckenmiller is playing up the buyback and biotech bubble a lot more than the China bubble. That might have changed in Q1 but my point is simple, always focus on what these gurus are buying and selling, not what they're saying on TV. Having said this, the article states he is buying crude futures and there is no denying that shares of the iShares MSCI Emerging Markets ETF (EEM), the Vanguard FTSE Emerging Markets ETF (VWO), the iShares China Large-Cap ETF (FXI) and Deutsche X-Trackers Harvest CSI 300 China A-Shares ETF (ASHR) have all jumped big thus far in 2015. The same can be said of individual emerging market companies like Petrobas (PBR) and especially PetroChina (PTR) which are surging higher. Even Freeport McMoran (FCX), the copper mining giant, is showing signs of life lately, which is bullish for a global recovery. So what is going on? Is there a full blown rally in emerging markets and if so, why is it happening? Is it because Wall Street economists see a more dovish Fed in the months ahead or is it because the fundamentals in China and other emerging markets are slowly but surely improving? It certainly can't be the latter because China's economy is losing altitude fast, which doesn't portend well for other emerging markets like Brazil. This is why I'm extremely cautious with these huge breakouts. They're powerful countertrend rallies that the algos on Wall Street love to play from time to time but that's all they are, countertrend rallies destined to fizzle out. If you're playing the global recovery theme via China/ emerging markets shares as well as via energy (XLE), oil services (OIH) and commodity shares (GSG), you will likely be very disappointed. There will be pops and drops but the trend will be lower for a very long time. Not surprisingly, U.S. stocks opened sharply lower on Friday, following a global decline in equities on renewed concerns in Greece and new Chinese trading regulations, amid U.S. inflation and consumer data. UBS' Art Cashin spoke about all these concerns on CNBC earlier today (watch below). And one technical analyst, Yacine Kanoun, managing director at PivotHunters, told CNBC the correction on S&P and the German DAX has already started. Listen to his comments below but take this technical mumbo jumbo with a shaker of salt in these increasingly computer driven markets where things can pivot on a dime. Finally, Marc Faber, editor and publisher at The Gloom, Boom & Doom Report, says China's true growth rate is a maximum of 5 percent, not 7 percent, which is why he thinks its markets are an accident waiting to happen. Listen to his comments, very good overview of hot money flows into China. Ron Mock Sounds Alarm on Alternatives? Federal Budget Boosts Federal Pensions? A New Deal For Greece? Big Pensions Against Big Payouts? Time To Short the Mighty Greenback? Shift Toward Smaller Hedge Funds? Is Wall Street Robbing Pensions Blind? Norway to Invest More in Private Markets? United Nations of Hedge Funds? 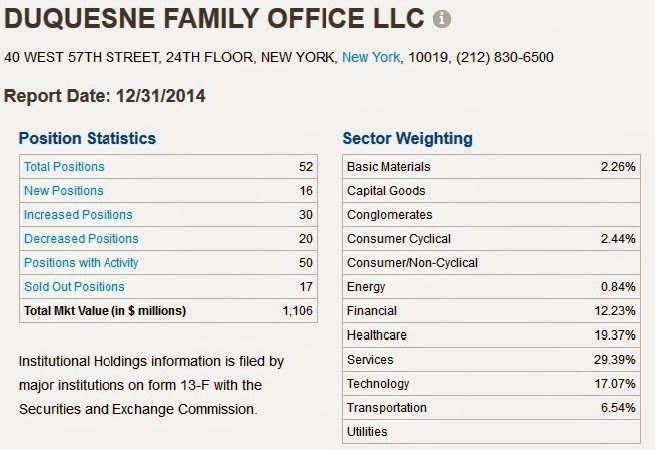 Accounting Changes Worry Federal Unions? Stick a Fork in Private Equity? CPPIB's Big Stake in the UK's Top Ports?